After days of rain and chilly temperatures growth is once again speeding up. Up on Summit Woods the early spring flowers have woken up. Their time here is short. 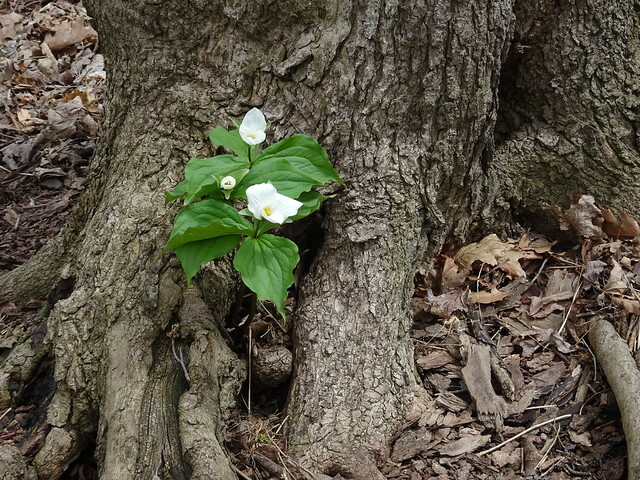 Once the leaves open on the trees, these flowers will die off for another year. The dog toothed violets (a.k.a. 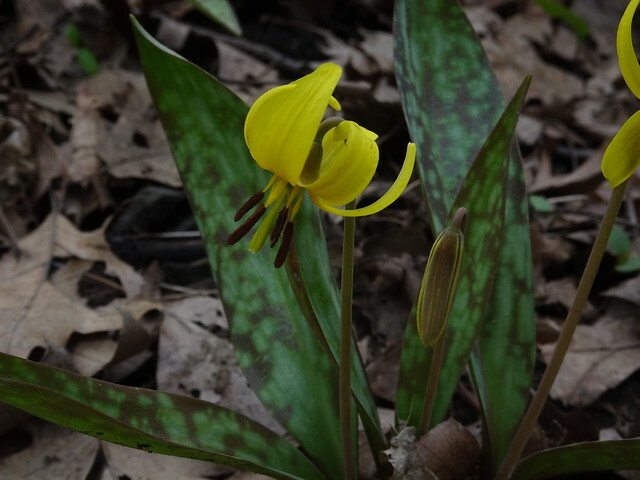 trout lilies) were open in profusion. 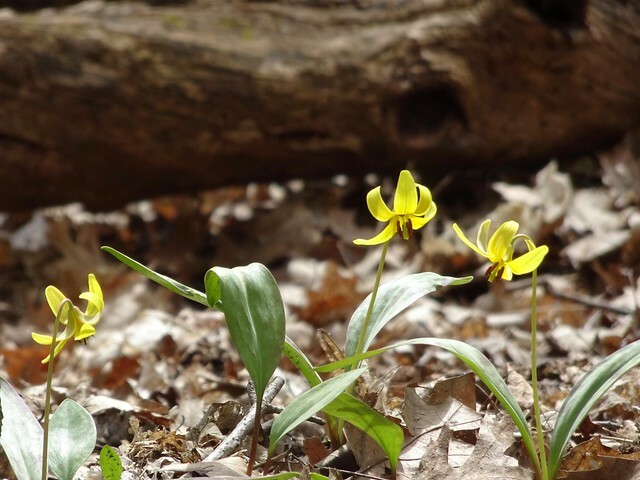 Their bright yellow colour advertises to insects to quickly come and pollinate them so they can grow another year. 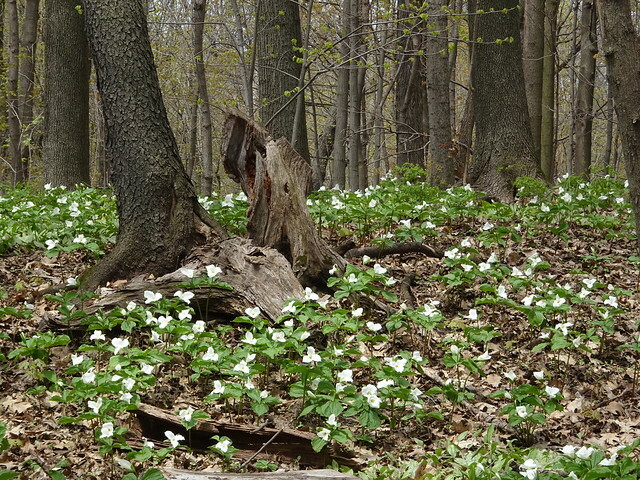 From wide open spaces to little niches, the trilliums pop up. 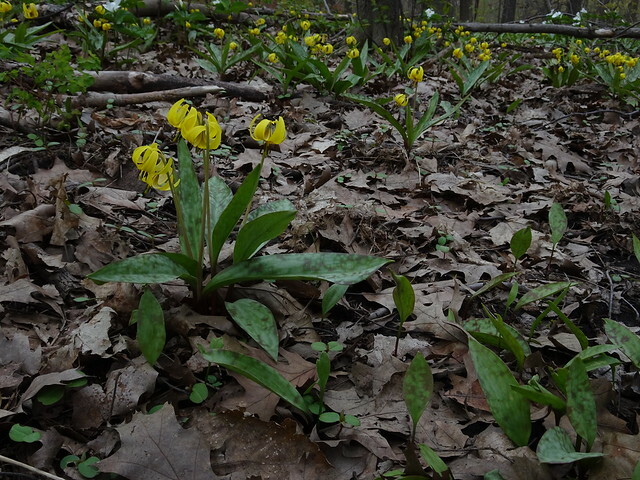 They carpet the forest floor. It is their moment of glory - short-lived but grand. 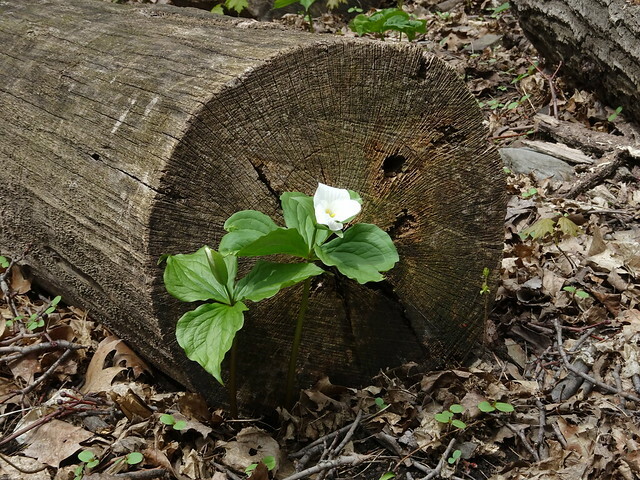 The forest is constantly regeneration, from decay comes new growth. 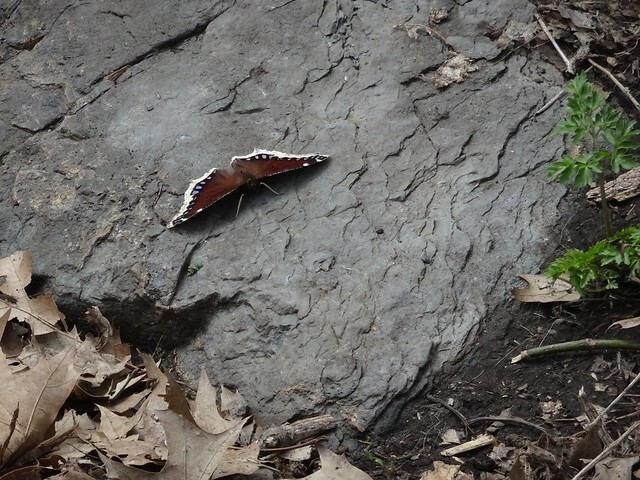 We saw a number of these butterflies flitting around. They rest with their wings wide open. I believe they are mourning cloak butterflies. For moments the sun shone. Spring is upon us.